DRAGON BALL SUPER: BROLY is taking the world by storm, currently earning $100 million in it's world wide box office gross. I wanted to give some attention to the least loved series of the DRAGON BALL franchise. Not many people had a chance to catch DRAGON BALL GT. It’s not remembered fondly, and if you follow the general consensus, you’ll be told to skip it. I disagree however. It suffers from its own share of shortcomings, but it is absolutely worth watching if you want a genuine follow through of character arcs set up in DRAGON BALL and DRAGON BALL Z. I love DRAGON BALL GT. I love the adventures, I love Goku as a kid again, and I even love what they did with Vegeta. Spoilers ahead for DRAGON BALL Z and DRAGON BALL GT. I personally feel like DBGT is a great little hybrid of DRAGON BALL and DRAGON BALL Z, and not just because Goku is a kid again. 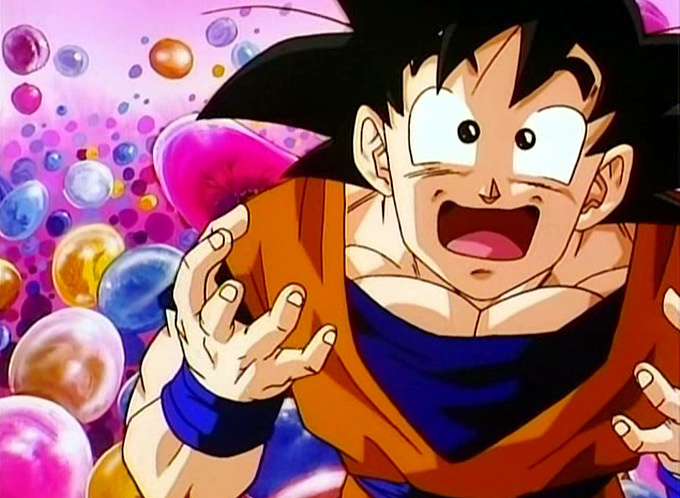 The entire formula of the show has its roots in DRAGON BALL. 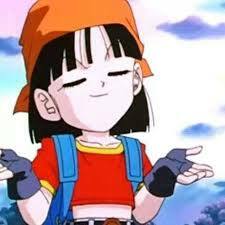 DB was an adventure, DBZ was an action show, and DBGT relies heavily on the adventure part. Probably part of why it wasn’t received as well is because it came on the heels of DBZ, not DB. The villain of the week set-up led to some pretty lame opponents in the first half of the series for Goku and co. However, this also gave us the ability to watch Goku do one of the things I think he does best: interact with other characters. Watching him fight and power up is awesome, but so is watching him try to solve a village’s problem, or fix a spaceship. His ‘man on the outside’ and simplified approach to life and problems never gets old to me, and is one of the things that has made Goku so endearing. It’s probably why he’s most fan’s favorite character. The series only runs for 64 episodes, so having 30 of them feature Goku only powering up and interacting with his direct opponent and spectators would honestly be overwhelming and eventually boring. I also prefer it’s short windedness. The series could have run for hundreds of episodes, like its predecessors and successor, but sometimes stories don’t have to. When the fights and action do come, the animation is nothing to write home about, but not any worse than DBZ at its height. The animation looks and feels familiar. It fits visually with DBZ, in a way DRAGON BALL SUPER has struggled with. The main ‘saga’ villains that Goku and company go up against also tie heavily back to the lore of DRAGON BALL and DRAGON BALL Z. Emperor Pilaf, Goku’s first adversary of DRAGON BALL, is the one who turns Goku back into a child by making a wish to Shenron at the beginning of DRAGON BALL GT. Hilarity ensues. Baby, a heavy hitter in the series, is a member of a race wiped out by the Saiyans. Android 17 returns after being lost to us after the Cell saga, and the Dragon Ball’s negative energy was referenced all the way back in DBZ by Old Kai. 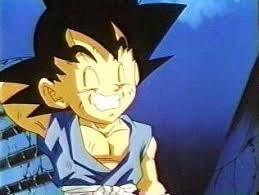 Turning Goku’s body back into its kid form was a good way for the story tellers to hamper down Goku’s power level. DRAGON BALL SUPER goes balls to the wall by only building Goku’s power level. But again, I like these smaller style stories, and they required a lower powered Goku. Being in a smaller body allows him to only power up for so long before the strain is too much on his child form. The writers also strapped him down with having to care for a much less powerful granddaughter, Pan. She’s still a Saiyan, so she gets plenty to do on her own, but this often leads to Goku having to be more careful on the battlefield, or letting her get some experience in herself. It’s also a lot of fun watching him try to juggle being a mentor, grandfather, and friend. 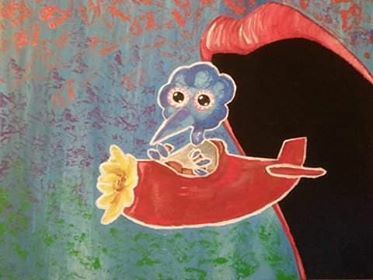 Being a child again also makes his ignorance a little easier to swallow, like when he’s first turned into a kid again he simply thinks the room got bigger. I know he’s technically the same character, but by visually turning him into a child, it makes his childlike actions way more palatable. Gone are feelings of frustration replaced by laughter and a thirst for seeing how they’ll get out of this one. Spoiler, in DBGT it isn’t always just because someone gets stronger than someone else. I also love the way they follow up how Goku being gone for 10 years training with Uub has affected his relationship with the likes of Gohan, ChiChi, and Krillin. These aren’t emotionally satisfying reunions, unlike the scenes when Goku comes back after dying at the hands of Cell for his one day trip during the World Martial Arts Tournament. But real thought was given to these interactions. Krillin, Gohan, and Vegeta have all almost completely committed themselves to their families, while Goku has practically abandoned his. It’s a fun twist, and honestly fits with where their character arcs have taken them. Without his dad constantly getting in the way, Gohan has truly become a man of scholar (something his mom, ChiChi was always pushing for in DBZ). I especially love Vegeta’s change in character. He’s still obsessed with becoming stronger than Goku, but he no longer has much concern fighting with Goku, save for a few scenes, or traveling the galaxy. He doesn’t even opt to train his own son, Trunks, instead sending him to train with Goku at the beginning of the series. 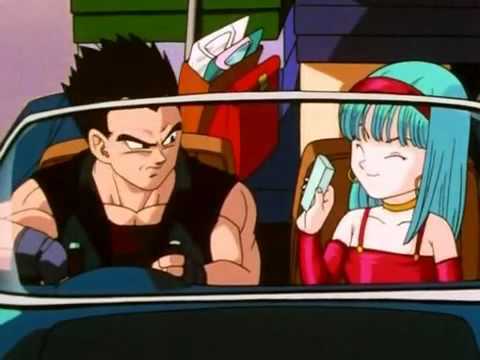 Vegeta is even seen shopping with his daughter and carrying her bags. It’s not until he’s taken over by Baby that he regains his drive to truly fight again. This follows up on a crucial turn Vegeta took during the Buu arc of DBZ. After killing hundreds of people under the influence of Babidi, Vegeta realizes that he cares more about his wife and child than he does power, and willfully sacrifices himself. This is huge for a character that, since his introduction, has stated numerous times he cares about no one but himself. 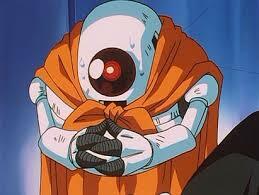 DRAGON BALL GT gives us a wonderful look at who this lost soul might become. Speaking of Baby, he’s another reason I love this show. In the first and second seasons of DRAGON BALL Z it’s revealed that the Sayan’s main purpose was to go from planet to planet waging war, enslaving or destroying the inhabitants, and selling them under Frieza’s direction. Baby is a hive-mind of the species Truffles, inhabitants of Planet Plant. Planet Plant was of course one of these planets. None of the planets or species came back into play during DBZ, but considering the power vacuum created by the fall of Frieza’s empire, it makes sense one of these species would band together to get retribution. The introduction of his character also led to Goku’s transformation of Super Sayan 4. This is quiet possibly the coolest Sayan transformation yet, as it’s a whole character redesign instead of a hair color change. This also furthered an idea that was laid out in DRAGON BALL Z in that the higher power levels corrupt your personality. The higher Goku’s transformations got on the power scale the less control he had over his innocent demeanor. Goku almost becomes a totally different personality when he changes into Super Saiyan 4, acting more like Vegeta in his arrogance. At times this plays into how a battle turns out. The character and plot developments feel natural and intertwined. For me, these two things relying on each other and building off of each other is a sign of good story telling. No comment on the dialogue, though. Furthering the deep cut ties this series has with series past, we’re told back in the Buu Arc of DBZ by Old Kai that the Dragon Balls shouldn’t be used willy nilly to fix every problem because there is a cause and effect for the use of that kind of cosmic energy(I believe episode 266 or the likes, as many re-releases have made the number hard to pin down). No one listens, they use the balls anyway to bring back everyone killed by Buu. This is never brought up again in DBZ or DBS. This however becomes the main story of DRAGON BALL GT. 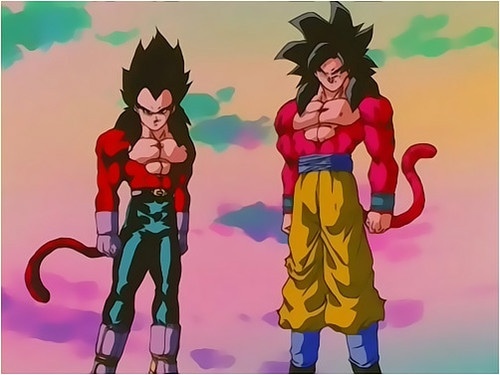 All of those wishes by the Z fighters finally tilted the scales of positive and negative energy balanced within the balls and they manifest into the series most powerful villains. Each star becomes a unique dragon fighter that our heroes must defeat before all seven join into Omega Shenron, who even then pretty roundly defeats Goku, Vegeta, and even Gogeta. This dude was and still is a boss of a final boss. And thats something the franchise is known for, so to have one of the best featured in a series most people don’t see is a shame to me. Check him and these fights out! Even the deaths are powerful. That says something in a show where you know most characters will just be wished back. Piccolo’s sacrificial speech to Gohan is beautiful, and Krillin’s death at the hands of Android 17 is one of the most heartfelt of the franchise. It’s no longer Krillin’s best friends weeping over his body, it’s his wife and kid. At the hands of his own wife’s brother. Ouch. This show definitely knows how to hit the high notes. I admittedly couldn’t get my own wife to finish the series, and she’ll watch most anime. 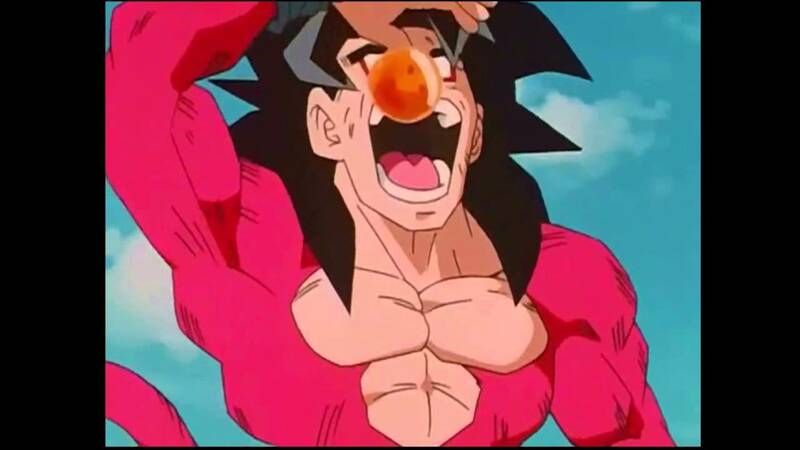 Maybe you can find the joy in DRAGON BALL GT that I was able to find. You just gotta make it past Giru. This show is by no means a masterpiece, but it is a lot of fun. It beautifully builds the mythos of the franchise in a deeply intertwined manner, flushing out a world that was already bristling with rich and complicated mythology. The series definitely feels like an end cap and less of a continuation, but if you’re a fan of the franchise, I highly recommend giving this relatively short series a chance. Decide for yourself if this show is worth the negative rep and let me know your thoughts on anything DRAGON BALL related in the comments! Son of Celluloid signing off. DRAGON BALL SUPER: BROLY is out now!